Description: Simmons First Bank-Hot Springs is a business categorized under banks, which is part of the larger category national commercial banks. Simmons First Bank-Hot Springs is located at the address 515 West Grand Avenue, Hot Springs, AR 71913 in Hot Springs, Arkansas 71901-3928. The CEO is David Bartlett who can be contacted at (501)318-1017. 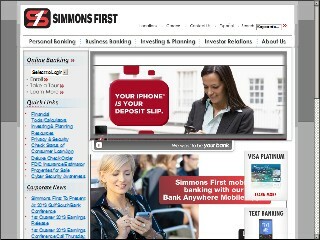 Location & access map for "Simmons First Bank-Hot Springs"